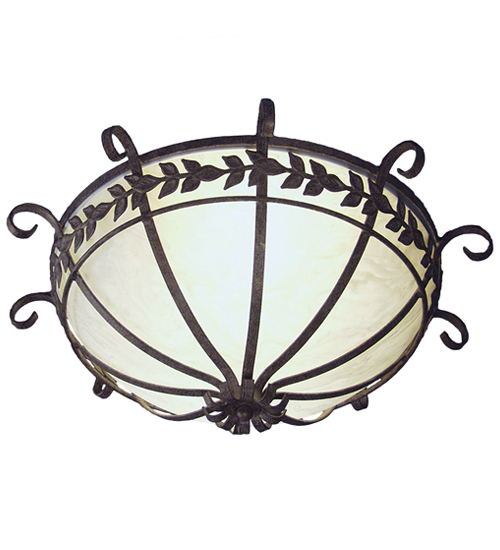 Description: Revealing an elegant transitional look in a distinctive fixture. Florentine features a Whitestone Idalight shade. The pendant is enhanced with Hand Forged Iron Scrollwork, Leaf accents and hardware in a Pompeii Gold finish. Handcrafted by highly skilled artisans in our 180,000 square foot manufacturing facility in Yorkville, New York. Available in special shade colors, finishes and sizes. UL and cUL listed for dry and damp locations.